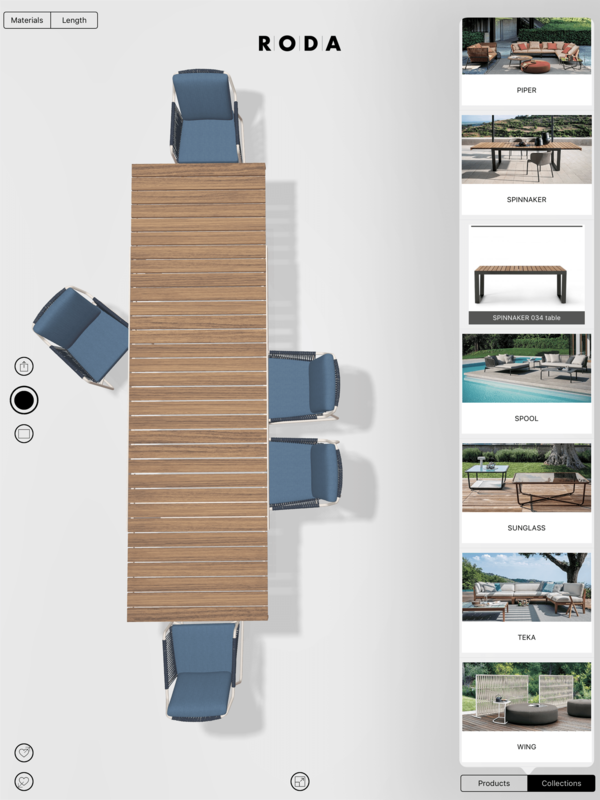 Augmented reality with the new Roda outdoor furniture projects App. 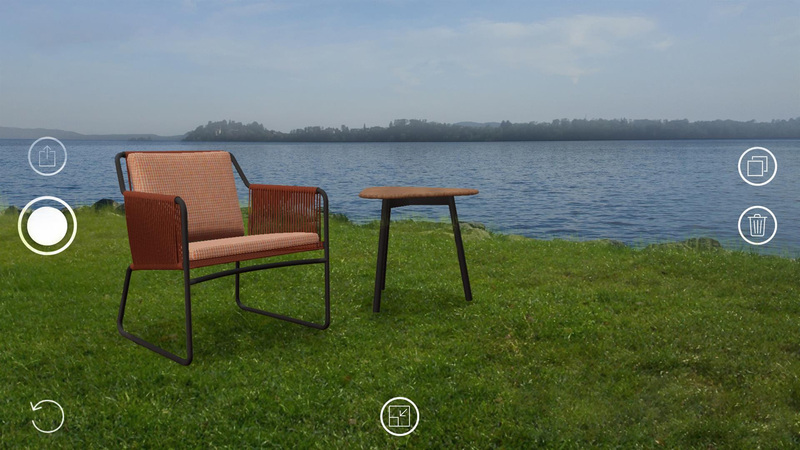 RODA outdoor furniture meets Augmented Reality, which allows clients to see and “almost touch” every product in the environment they choose. 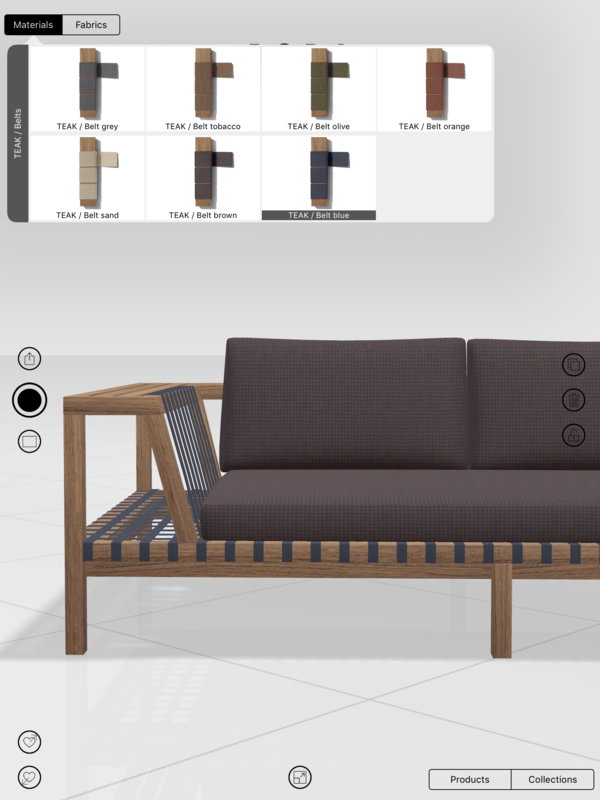 Roda outdoor furniture has launched their augmented reality app, RODA Projects. It allows architects, designers and anyone looking to furnish their outdoor living space to configure RODA products and see them in any available variety. Placing them in a virtual scene with their preferred view and project the items in a real environment thanks to the innovative Augmented Reality function. Any selected product can be configured in colour, material and dimension, choosing among all the available finishes and materials in the wide RODA range. You will no longer need your imagination to visualize full-scale products in your garden or on a customer’s porch: few gestures on your smartphone or tablet display will create a true to life set-up. Any selected product can be configured in colour, material and dimension, choosing among all the available finishes and materials in the extensive RODA collection. You will no longer need your imagination to visualize full-scale products in your garden or on a customer’s porch: augmented reality enables you to create a true to life set-up with a few gestures on your smartphone or tablet display. The augmented reality RODA Projects App currently allows you to choose among most RODA products and to configure them in the new chromatic variants presented at the 2018 Salone del Mobile. The rest of the collections are being processed and will soon be available. Projects can be saved in the virtual scene and retrieved both in that virtual scene and the Augmented Reality. Furthermore these scenes can be share via iPhoto, iMessage, Mail, Notes, Facebook and Instagram. Download the RODA projects App from the Itunes App store for free. Click here.